Buy a new unit today and get a $500 credit towards the purchase of any accessories we offer. 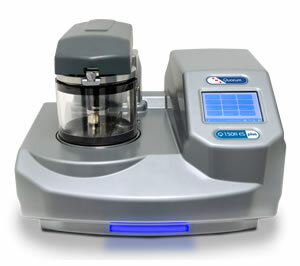 The EMS 150R Plus is suitable for use with Tungsten/LaB6 SEM and Benchtop SEM. 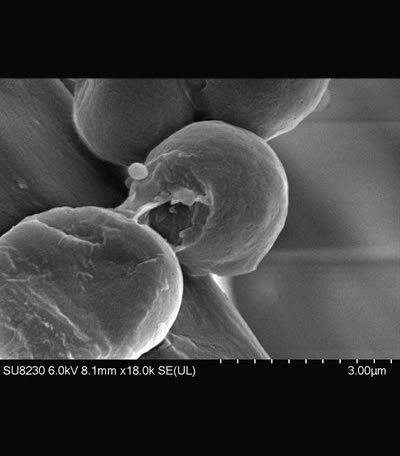 Carbon cord coating for elemental analysis using the EMS 150R S Plus & EMS 150R ES Plus. EMS 150R S Plus – An automatic sputter coater for non-oxidizing metals. 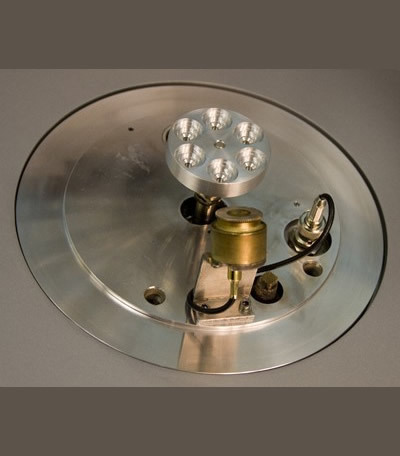 Available sputtering targets including gold, gold/palladium and platinum. EMS 150R E Plus – An automatic carbon cord coater for SEM applications such as EDS and WDS. EMS 150R ES Plus – A combined system system capable of both sputtering and carbon coating. The deposition heads can be swapped in seconds. Process log files can be exported via USB port in .csv format for analysis in Excel or similar. Log files include date, time and process parameters. Allows multiple users to input and store coating recipes, with a new feature to sort recipes per user according to recent use. Intelligent system logic automatically detects which insert is in place and displays the appropriate operating settings and controls for that process. System prompts user to confirm target material and it then automatically selects appropriate parameters for that material. Intuitive software allows the most inexperienced or occasional operator to rapidly enter and store their own process data. For convenience a number of typical sputtering and carbon coating profiles are already stored but also allows the user to create their own. Software detects failure to achieve vacuum in a set period of time and shuts down the process in case of vacuum leak, which ensures pump protection from overheating. The carbon evaporation process can be terminated using the optional film thickness monitor, which incorporates a quartz crystal monitor, fitted as standard on E and ES models. This recipe ensures that carbon is evaporated in short controlled pulses, which has two effects: protecting the sample from heating and ensuring the accuracy of the film thickness monitor. 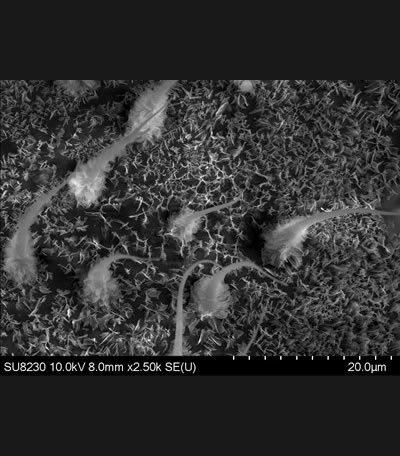 Pulsing also significantly reduces the amount of debris (including large carbon fragments) associated with traditional carbon "flash" evaporation. Pulsed and ramped carbon rod recipes are supplied as standard. Sputter coating is a technique widely used in various applications; it is possible to create a plasma and sputter metals with high voltage, poor vacuum and no automation. 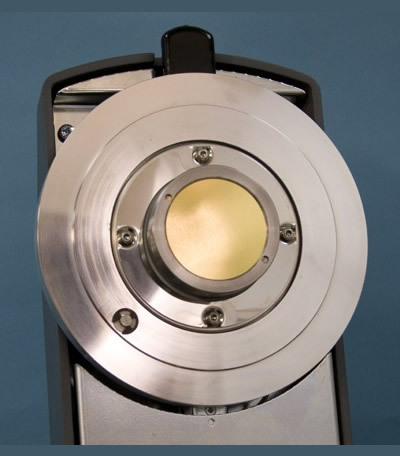 However, this is not suitable for electron microscopy applications because it will heat the sample and can result in damage when the plasma interacts with the sample. The EMS 150R Plus series uses low temperature enhanced-plasma magnetrons optimized for the rotary pump pressures, combined with low current and deposition control, which ensures your sample is protected and uniformly coated. 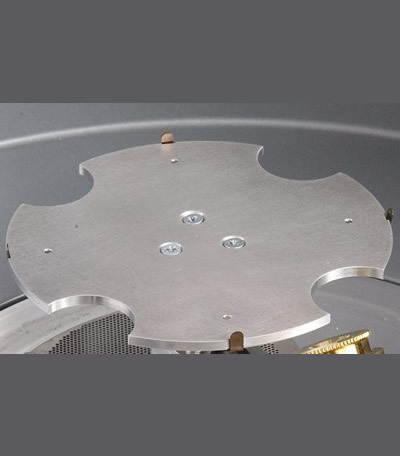 The EMS 150R S Plus and EMS 150R ES Plus use easy-change, 57 mm diameter, disc-style targets which are designed to sputter non-oxidizing (noble) metals – ideal for W-SEM applications. The EMS 150R S Plus and EMS 150R ES Plus are fitted as standard with a gold (Au) sputter target. Other targets options include Au/Pd, Pt/Pd, Pd, and Cu. Platinum (Pt) can also be sputtered with the optional Pt coating vacuum hose assembly. This allows the user to configure the system as a sputter coater, evaporator or glow discharge system – all in one space saving format. A carbon cord evaporation insert is available as an option. Automatic detection of the head type when changed. 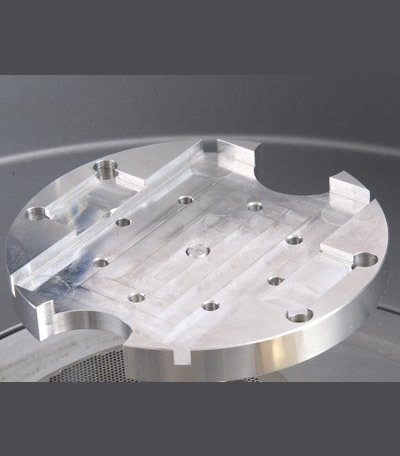 Tall chamber option is available for carbon evaporation to avoid sample heating, to improve uniformity for sputtering and to hold taller samples. Rotation stage (supplied as standard): 50 mm Ø can accommodate six standard stubs. Height can be pre-set. Rotate-tilt stage for improved uniform coating: 50 mm Ø. Tilt and height can be pre-set. Other options are available on request. User Interface Full graphical interface with touch screen buttons. Includes features such as a log of the last 1000 coatings and reminders for when maintenance is due. Specimen Stage 50 mm Ø rotation stage with rotation speed of 8-20 rpm. Other stages available on request. Sputtering Sputter current 0-80 mA to a predetermined thickness (with optional FTM) or by the built-in timer. The maximum sputtering time is 60 minutes (without breaking vacuum and with automatically built-in cooling periods). Carbon evaporation A robust, ripple free DC power supply featuring pulse evaporation ensures reproducible carbon evaporation from cord sources. Current pulse: 1-70 A current. A large multi-color status indicator light provides a visual indication of the state of the equipment, allowing users to easily identify the status of a progress at a distance. 4500 EMS 150R S Plus Fully automatic, capacitive touch-screen controlled rotary-pumped sputter coater with status LED indicator. 4507 EMS 150R ES Plus Fully automatic, capacitive touch-screen controlled rotary pumped sputter coater and carbon evaporator with status LED indicator. 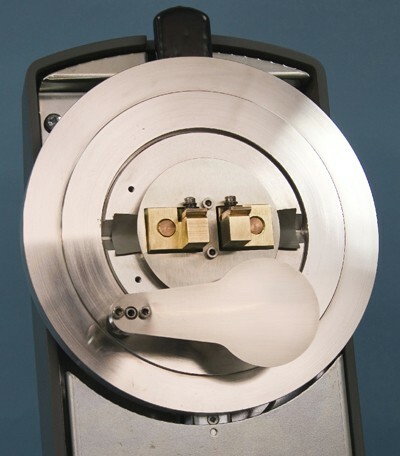 Including quick release sputter insert, one 57 mm diameter x 0.1 mm gold target, and carbon fiber evaporation coater, including quick-release carbon fiber insert for evaporation of carbon cord*, and 50 mm diameter rotating specimen stage. All rotating stages have variable rotation of between 8 and 20 rpm.